The estimated time to complete this course is approximately 3 hours. You will receive a 12 months licence to the course. 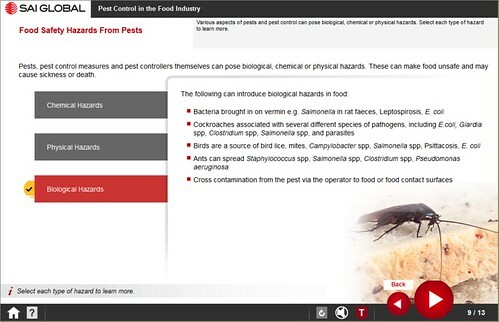 To gain an understanding of the attributes and practical operation of an effective pest management program - an essential pre-requisite for any Food Safety Management System. Details for accessing your course will be emailed to you upon confirmation of your registration (may take up to 48 hours from submission). This course does not have pre-requisite units for entry. Upon successful completion of the course an online Certificate of Achievement can be printed.